The Don and I went down to San Francisco for my birthday this year and did some serious food conquering with my friends Veronica and Walter. Here are some of the highlights. 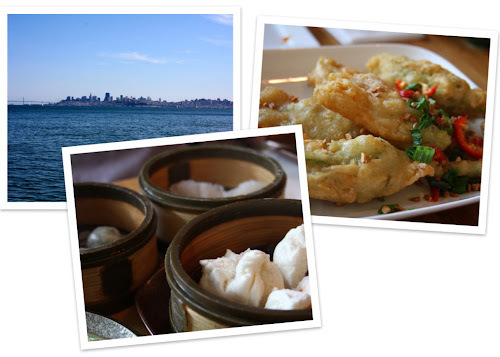 A day in Sausalito and lunch at Harmony Dim Sum. The menu had so many vegetarian options, something that doesn't usually happen at Dim Sum restaurants. I was completely overwhelmed when it came time to order. We got so many things but my favorites were the veggie steamed dumplings and the squash blossom tempura fritters. The best meal of the trip happened at the Presidio Social Club. 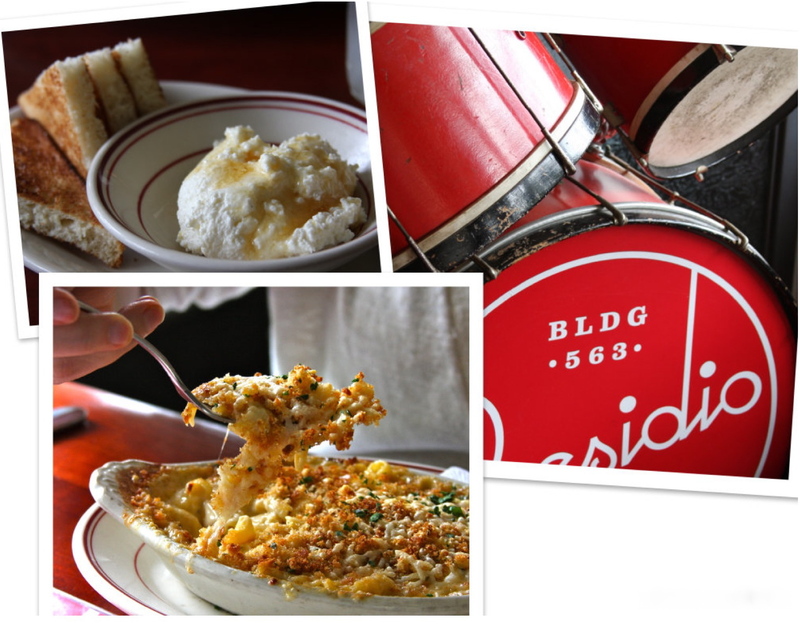 I can't believe I am saying this but they had the best mac & cheese I have ever tasted. I could have eaten it every day we were there. Look at that utterly prefect mix of creamy and crispy. We also had beautiful mixed drinks and honey ricotta toast. There were also stops at The Front Porch (thanks for the suggestion Henry! ), Chilayo, and Phat Philly. All of the above had amazing vegetarian options. I got the seasonal vegan special at Front Porch which had eggplant, zuchinni, a fresh tomato sauce and fried onions. At Chilayo I had a super fresh taco and we filled the table with an array of their house made salsa's. One of them was made with pureed pumpkin seeds! And at Phat Philly I ordered the Portobella variation of their Philly cheese steak and a side of onion rings with beer cheese. Whew! 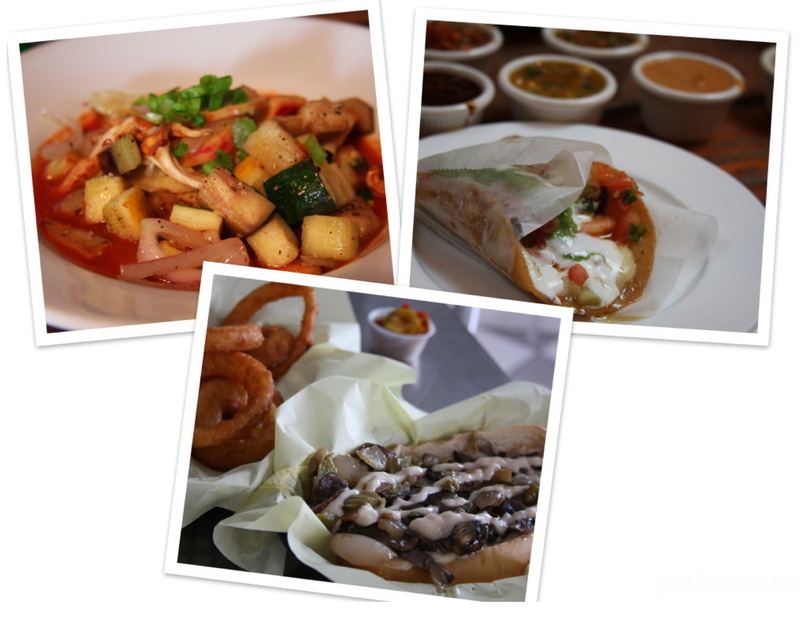 A lot of incredible food fit into one weekend. We were pretty proud of ourselves.